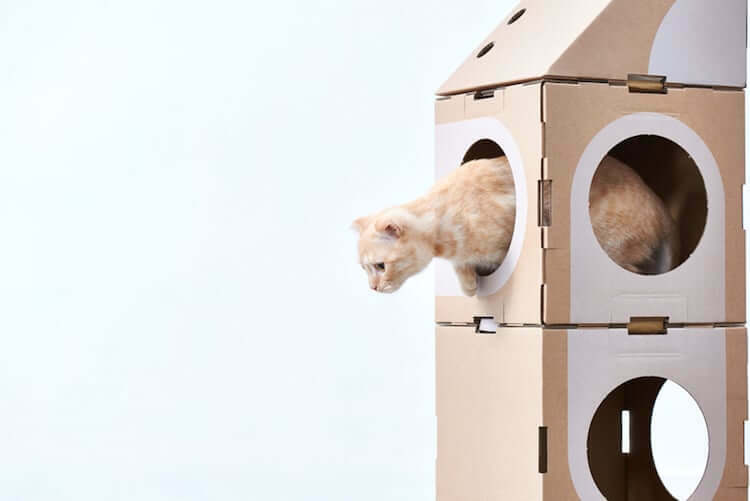 Cats and boxes just go together. 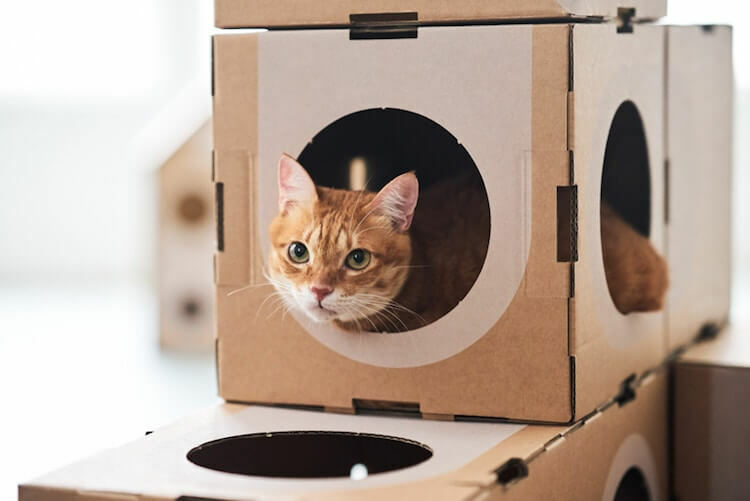 If you are a proud owner of a feline cute ball of fur, you know that there’s no way it will stay indifferent to the box that lies on the floor after you unpack whatever the postman delivered. It will go around and around until hoping in, and then hope out again, and possibly it will take a nap in a new favorite thing it has discovered. However, cats are pretty intelligent creatures and they might get bored playing with a simple cardboard box. 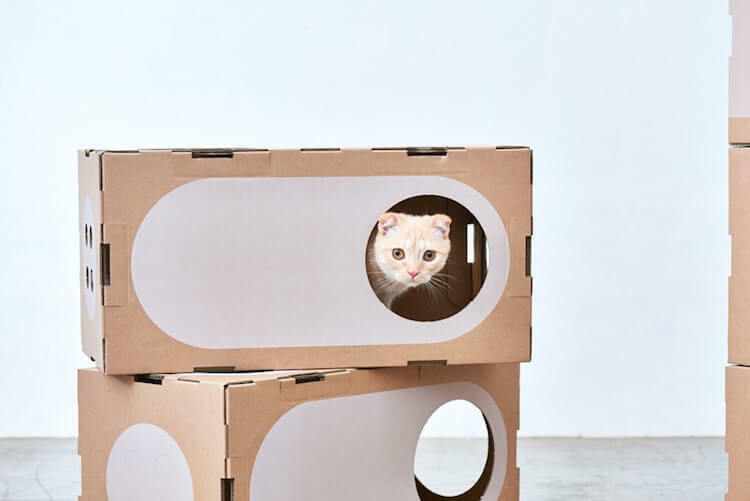 People from a Taiwan-based company called A Cat Thing, seem to go all the way through this feline subject and came out with a brilliant product. 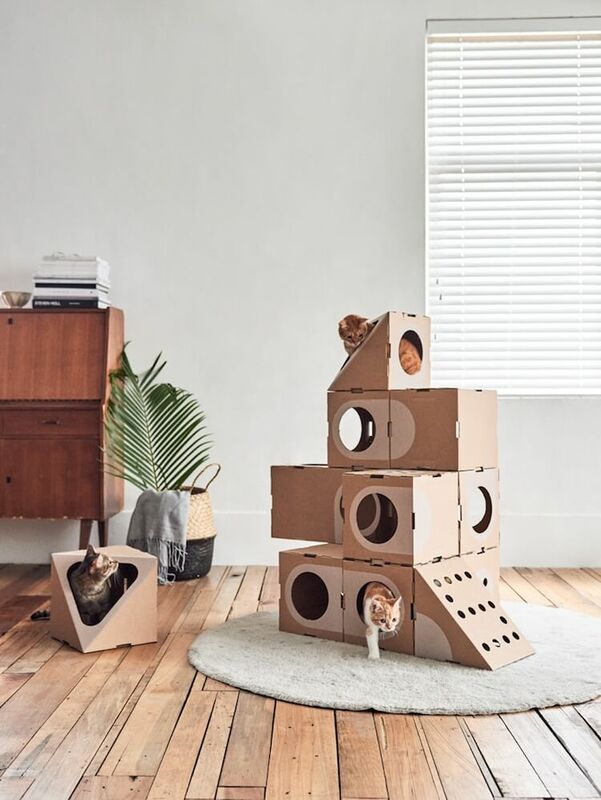 They make a stylish cat furniture that can easily satisfy any modern home decor. 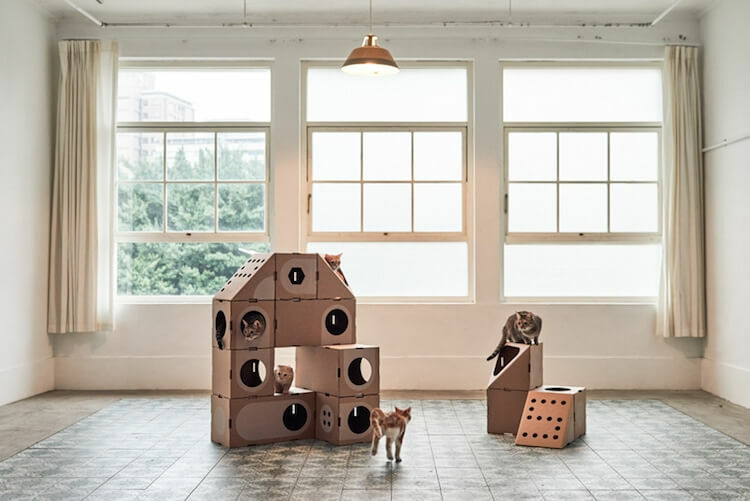 The pieces or the modules that this furniture consists of is made of cardboard and the best part is that you can play with the modules and create a different model whenever you or your cat get bored. 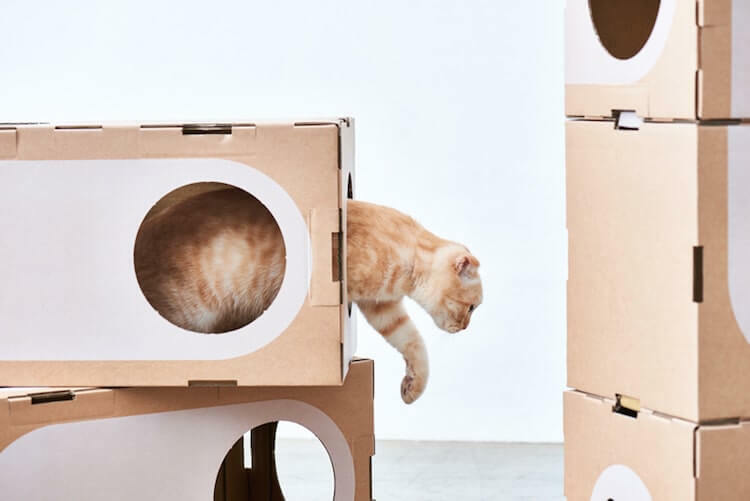 This awesome cat furniture is called Room Collection, and it features four different-shaped boxes. 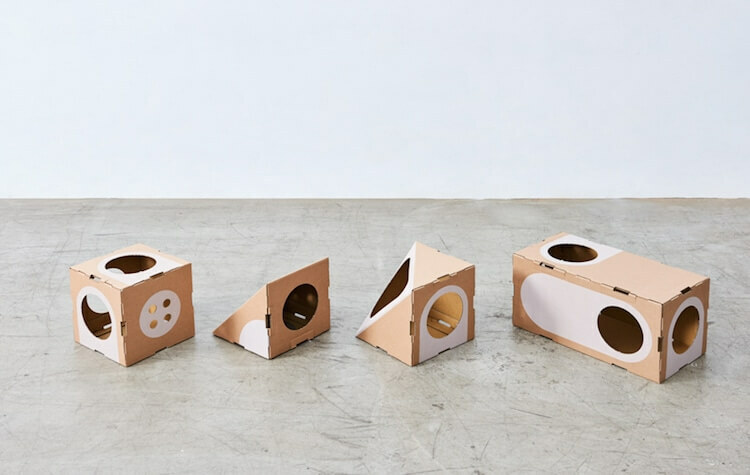 The product is eco-friendly and modules are done in various shapes – cube, rectangle, triangle, and another angular seven-sided shape. 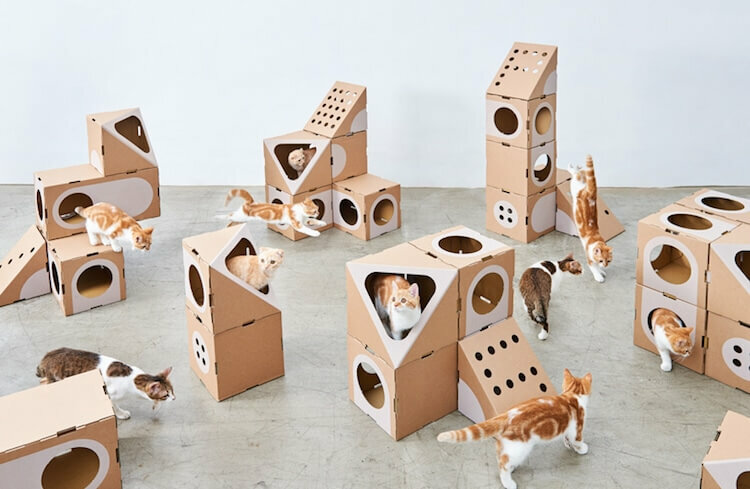 You can let your imagination run wild (with no tools required) and make numerous variation putting modules together on your and your feline body’s joy. 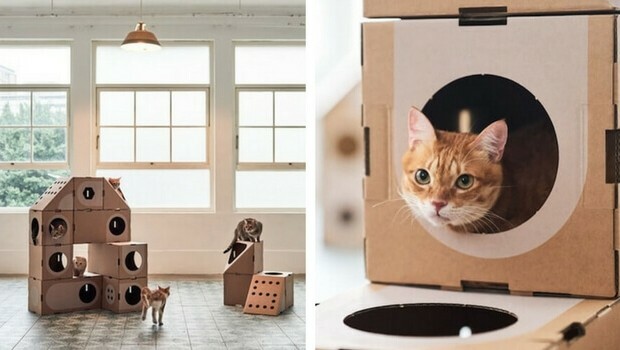 People from a Taiwan-based company called A Cat Thing, seem to know cats pretty well. 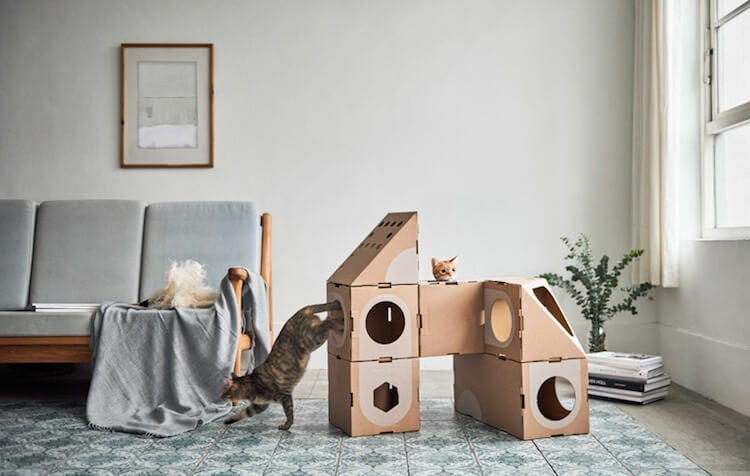 They make a stylish cat furniture that can easily satisfy any modern home decor and any cat curiosity. 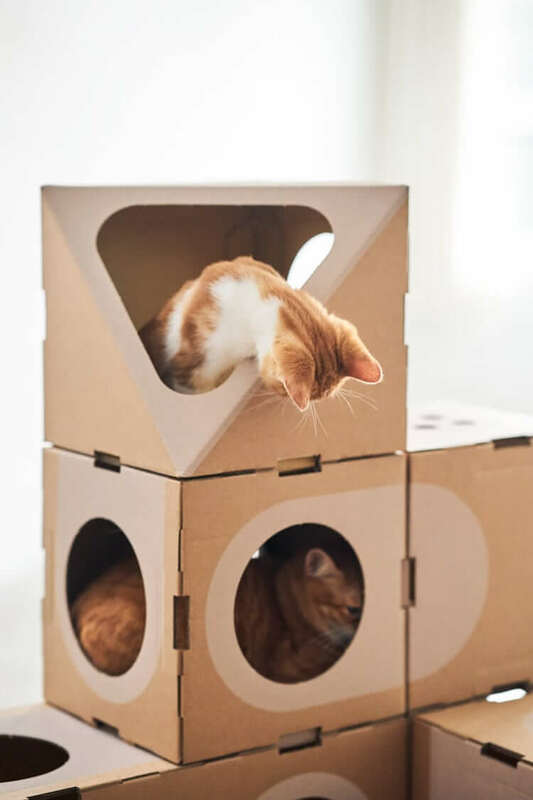 This awesome cat furniture is called Room Collection, and it features four different-shaped boxes or modules that can be put together in various ways. 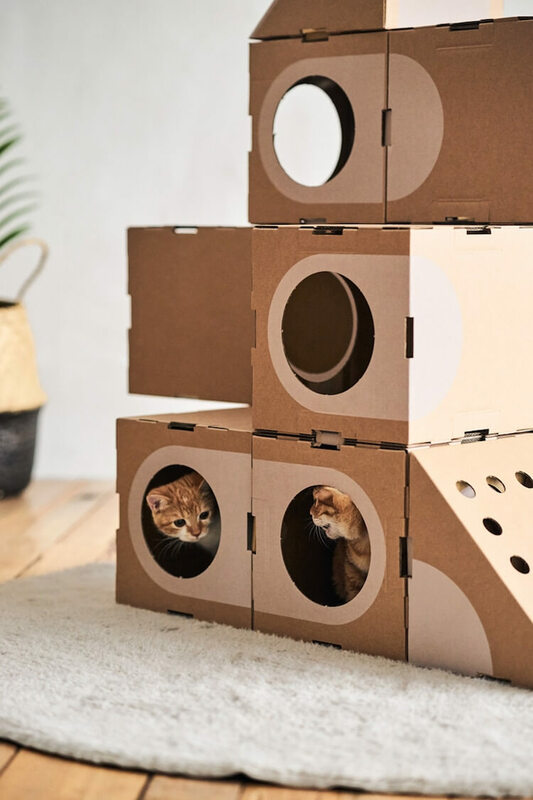 This brilliant product is made of cardboard, it’s eco-friendly and it doesn’t require any tools for assembling. 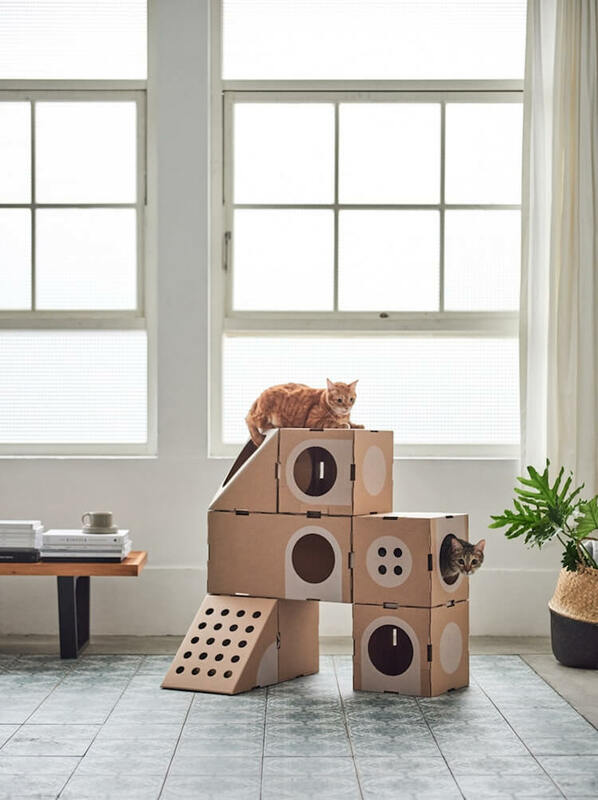 Keep scrolling and get convinced that your cat will never get bored again with Room Collection by A Cat Thing. Next Story → Crypto Universe – What Is This New Trend And Why It Should Matter To You?